ViewRanger offer Ordnance Survey of Ireland (OSI) mapping for Republic of Ireland (Eire). Now also mapping of Northern Ireland from OSNI. 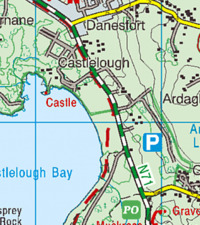 Purchased Ordnance Survey Ireland and OSNI maps are available to use on your mobile device and online within the My.ViewRanger online community and route plotting website. View premium maps that you own on smartphone, on tablet, and online. 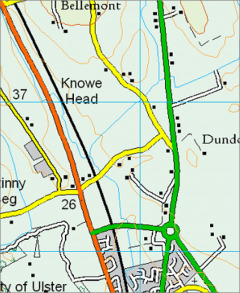 Mapping can be puchased by the tile using ViewRanger credit at a cost of 38cents or 28p/tile. Buy County maps using in-app purchasing: Cork, Kerry, Limerick, Waterford, Tipperary, Kilkenny, Wexford, Carlow, Clare, Meath & Louth, Dublin & Wicklow, Kildare, Laois, Offaly, Westmeath, Longford, Cavan, Monaghan, Donegal, Leitrim, Roscommon, Mayo, Galway, Sligo. Larger Province areas or whole country will offer best value for money (via ViewRanger web shop only).